Vicenza, Italy. Monte Berico Basilica. 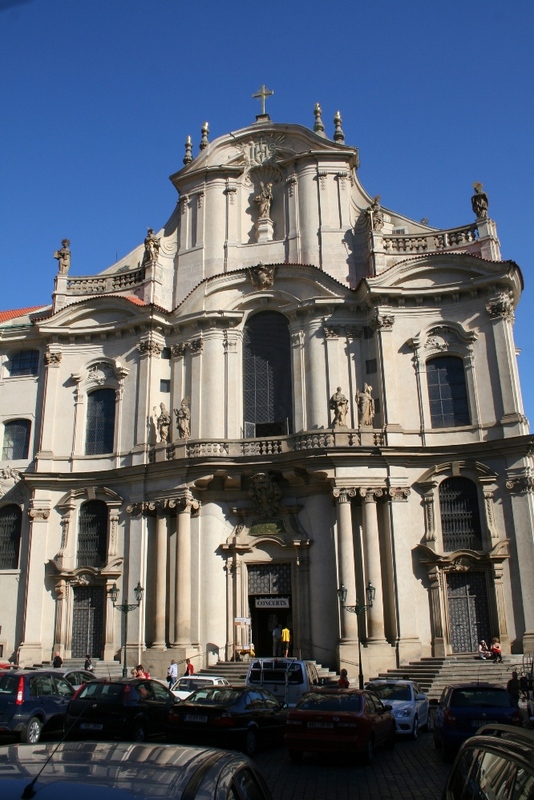 Baroque facade constructed 1688, completed 1703. 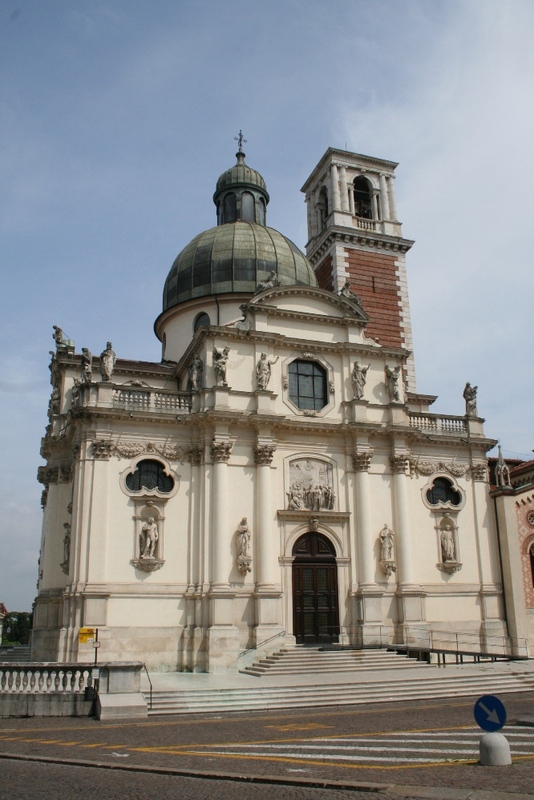 Numerous restorations, including by Andrea Palladio. Demonstrates typical flamboyant decoration involving curved windows, niches, central curved pediment, and swags above the windows, along with all the standard Renaissance features of bilateral symmetry, dome, and classical pilasters. For more images of Baroque architecture on Flickr, Click here. Rome, Italy. 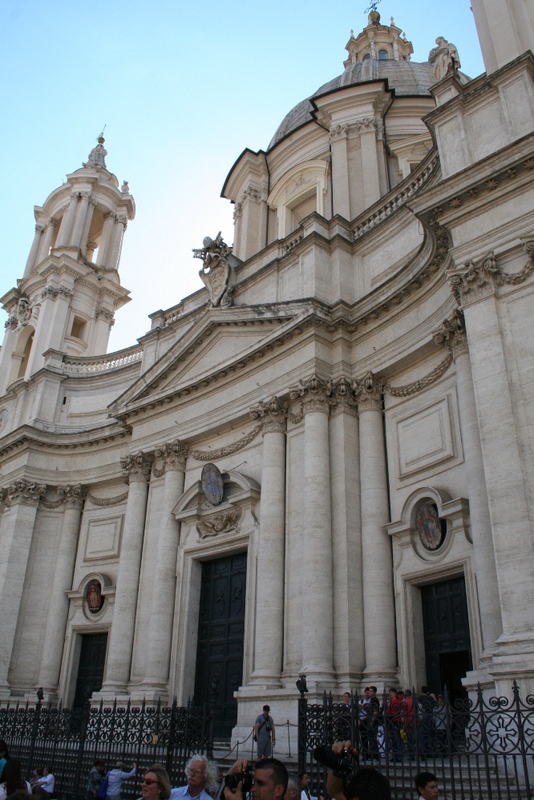 Church of Sant’Agnese in Agone, in Piazza Navona, rebuilt in the Baroque style at the request of Pope Innocent X after 1652. 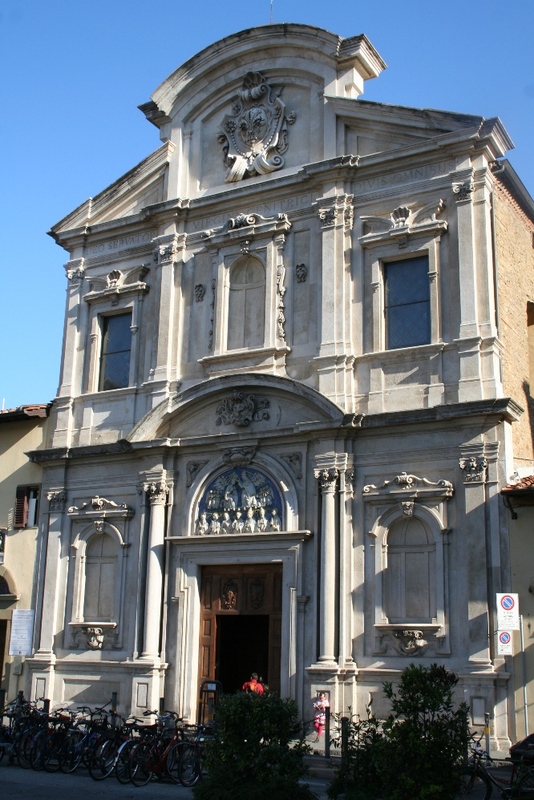 Two prominent Baroque architects and sculptors, Francesco Borromini and Gianlorenzo Bernini (bitter rivals) worked on the church. Brussels, Belgium. 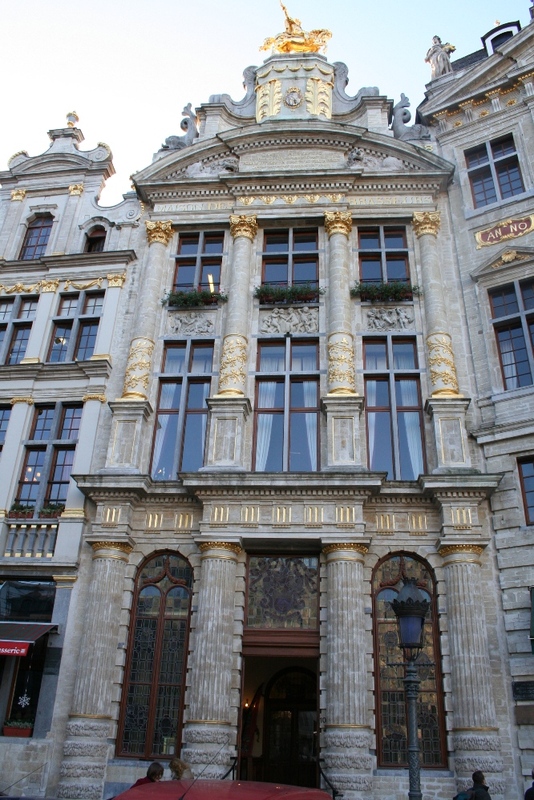 The Grand Place (Central Square), with Baroque-style guild halls pictured here. In 1695 the French Army destroyed the city center, after which rebuilding commenced with a more unified, city-approved plan. The extravagant Baroque style predominated rebuilding designs. Prague, Czech Republic. This Baroque facade features complex curved shapes in the facade itself as well as on and around pediments, windows, and entries. Rome, Italy. Trevi Fountain (Fontana di Trevi), the largest Baroque fountain in Rome. 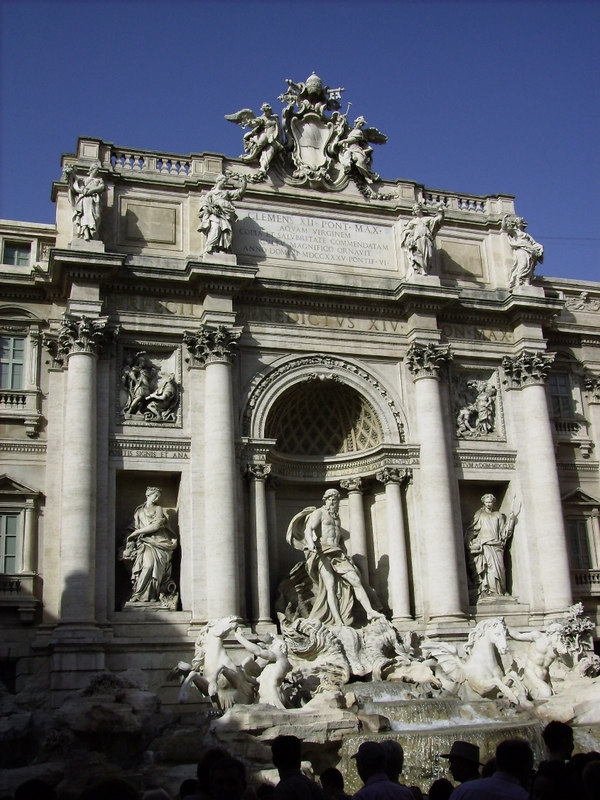 During Renaissance and Baroque periods the Popes commissioned elaborate decorative terminations to the original Roman acqueducts, with Trevi Fountain a massive example. This version of the fountain was the result of a contest established by Pope Clemens XII in 1730, with Nicola Salvi the winner.